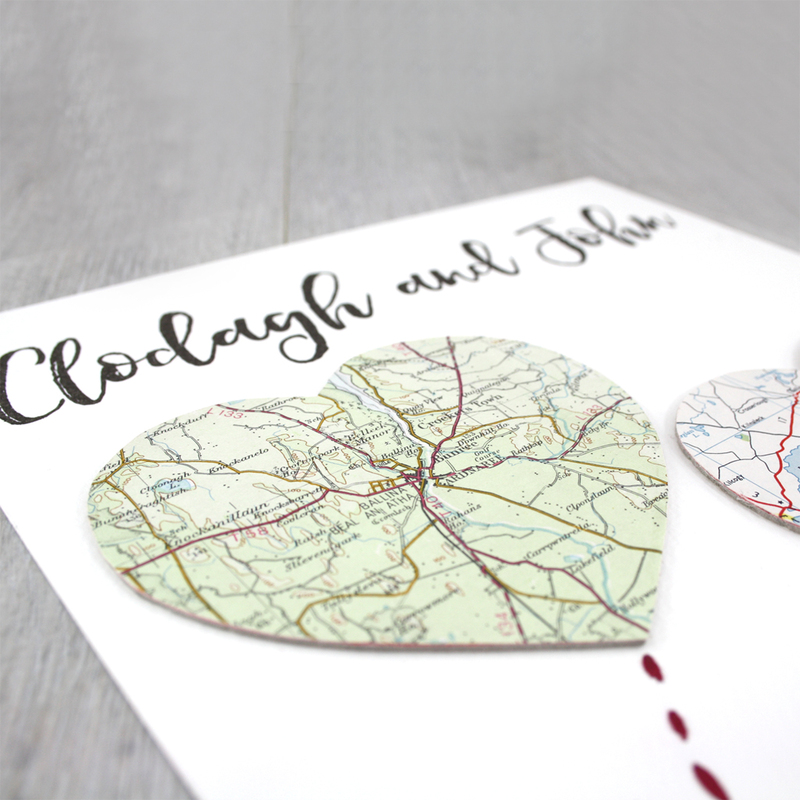 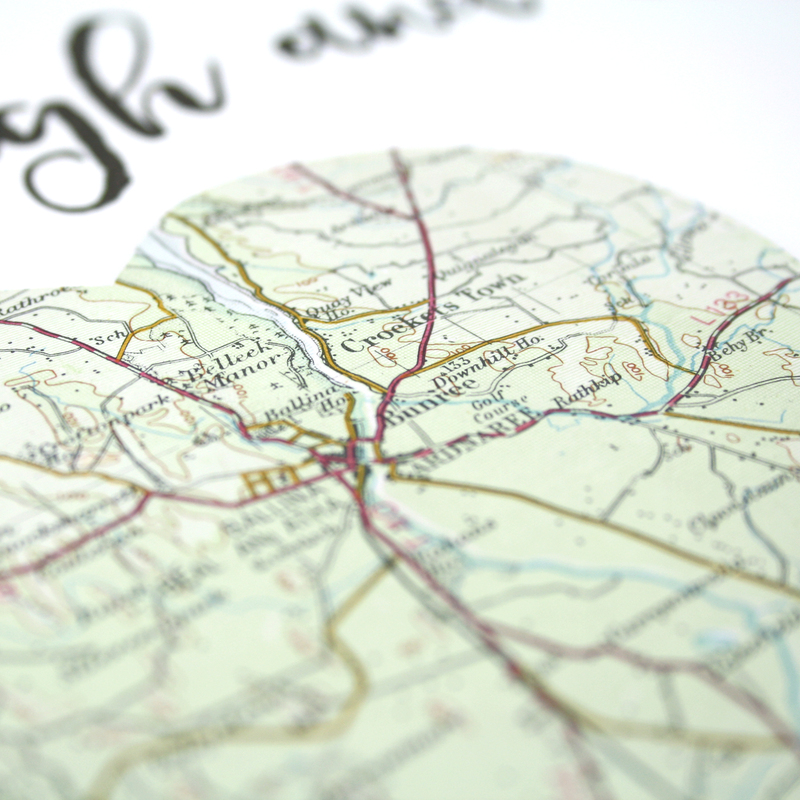 Two large map hearts personalised wedding artwork. 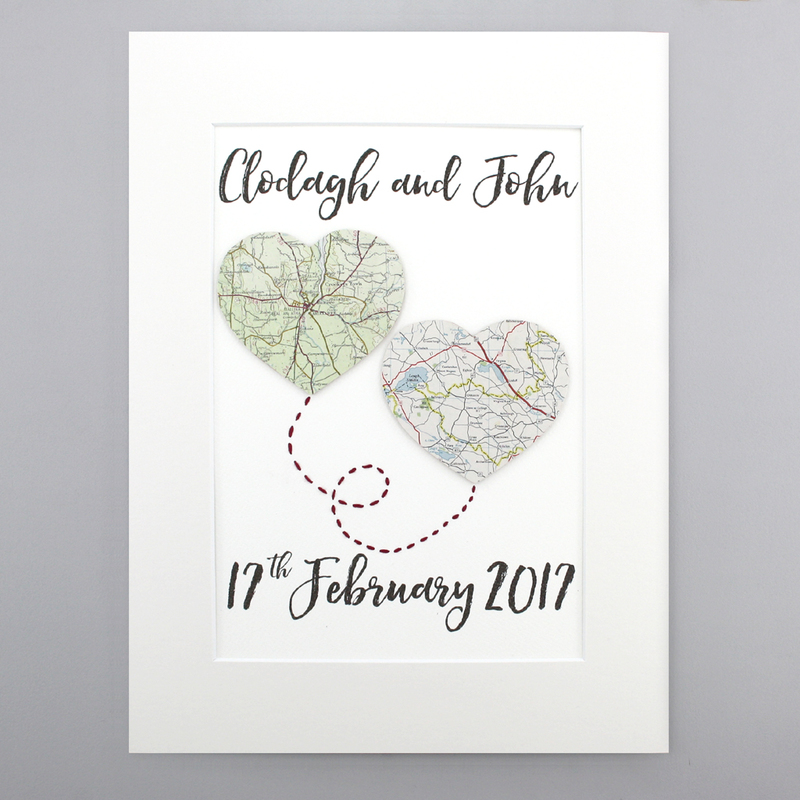 A travel inspired wedding gift, each map representing where one half of the happy couple is from. 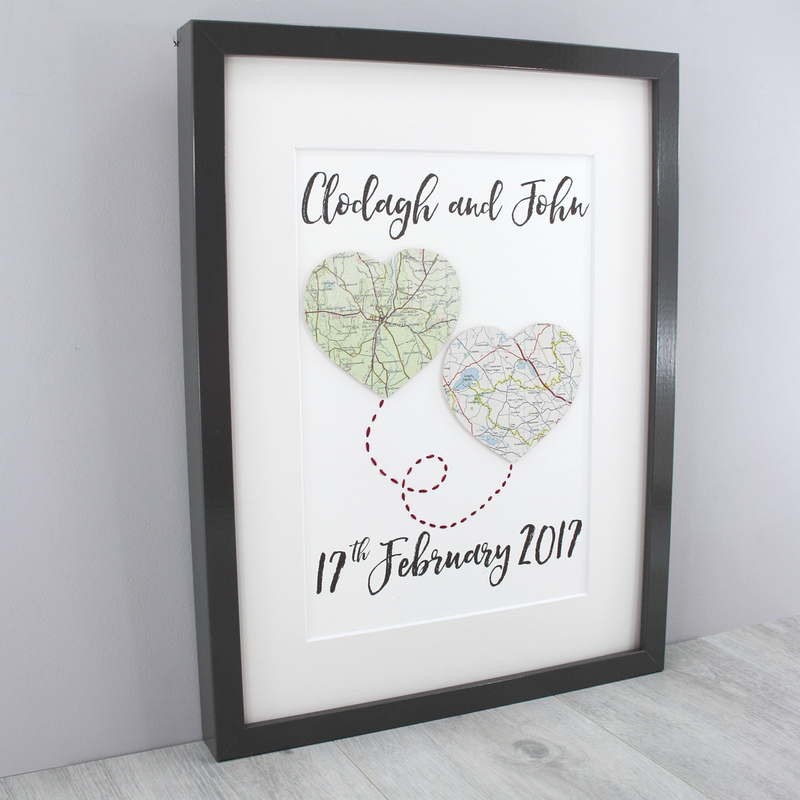 Joined together by hand stitching and personalised with the couples name at the top and the date at the bottom of your artwork. 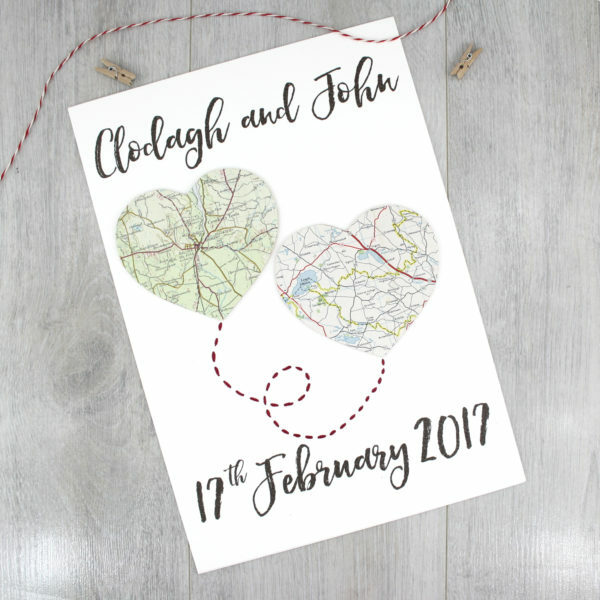 You can customise these as you wish. 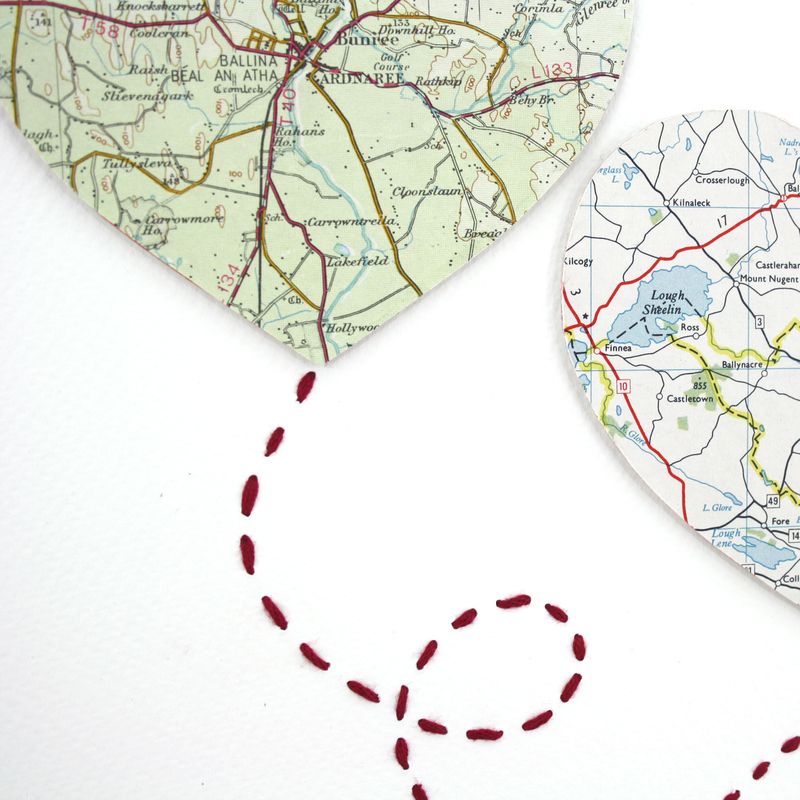 Two map hearts, each one representing one half of the happy couple. 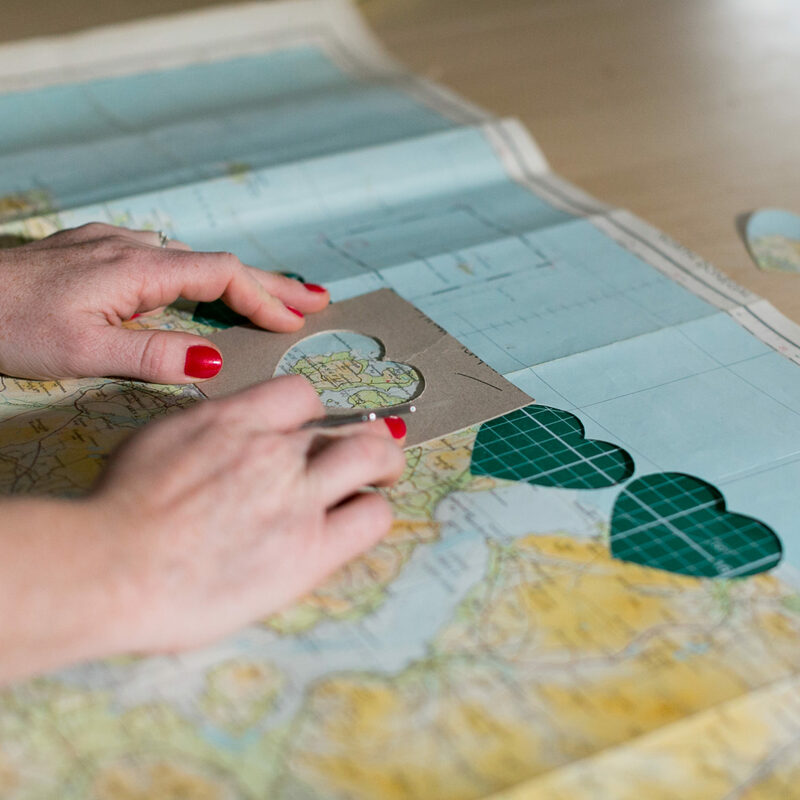 Your hearts are connected by hand stitching. 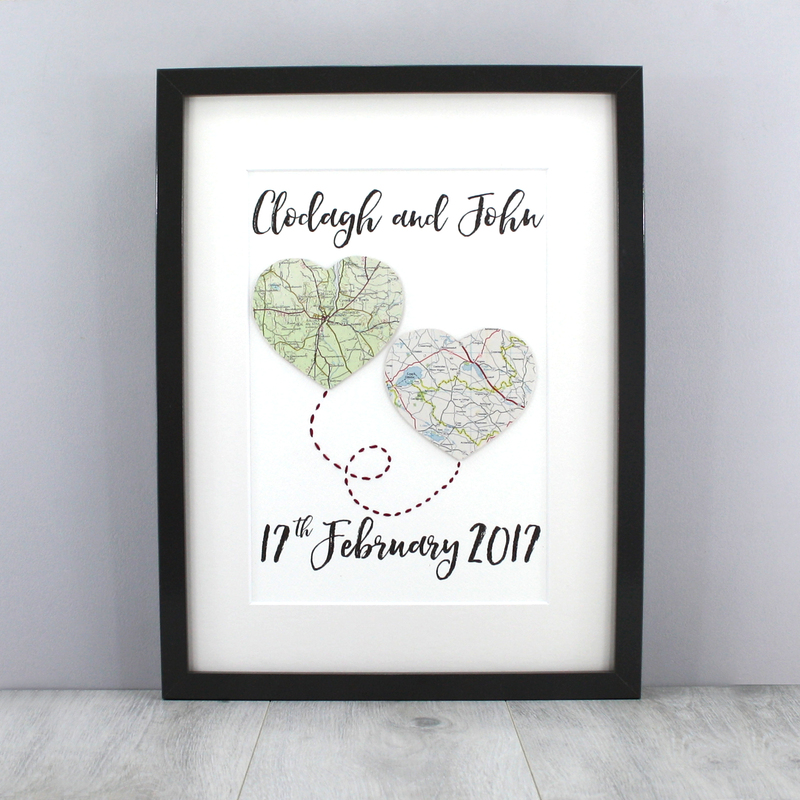 An ideal purchase if you are looking for a travel inspired wedding or anniversary gift. 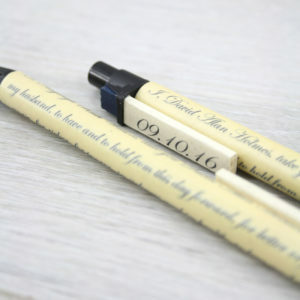 It is also perfect to give for your paper wedding anniversary. 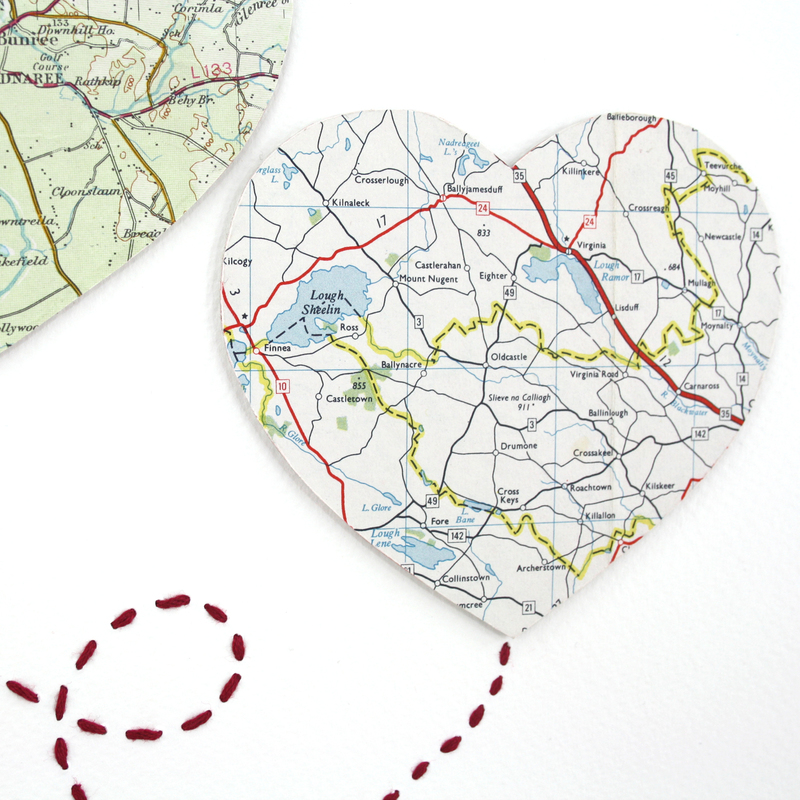 Travel inspired romantic gifts, each artwork is made by hand in my studio in Co. Kildare. 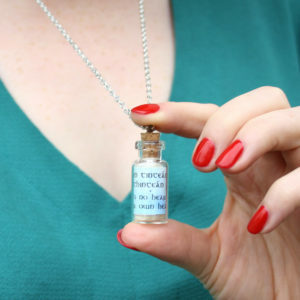 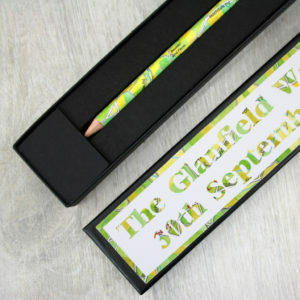 And most importantly because you are working with the maker you can always add special customisations to your gift. Making sure that it is as special as the event it is celebrating. 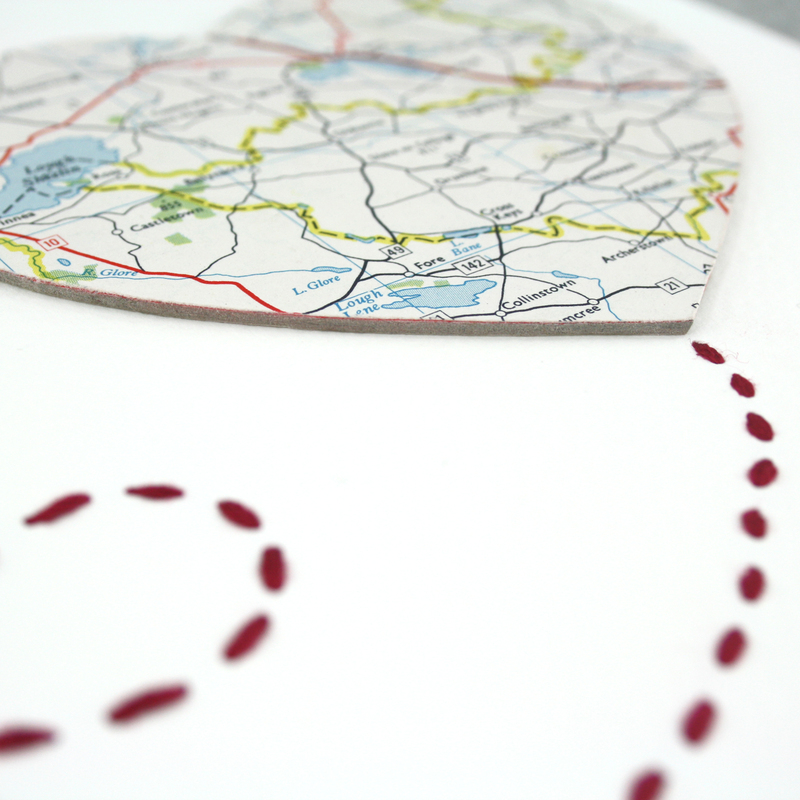 The line of stitching joining the two hearts is hand stitched using red embroidery thread. 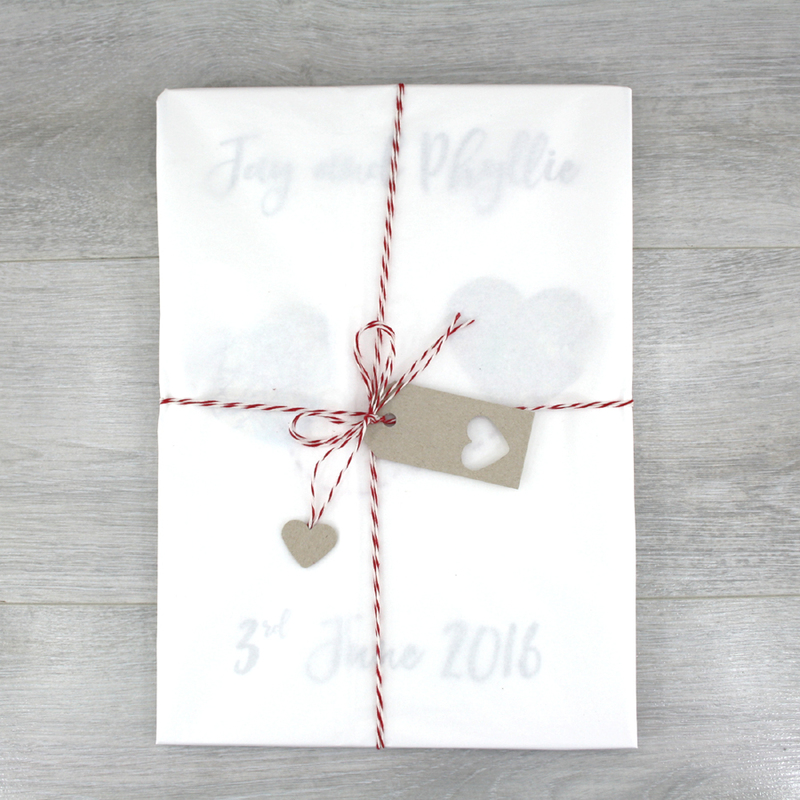 Your Personalised wedding artwork will come to you wrapped in white tissue paper and tied with red and white bakers twine. 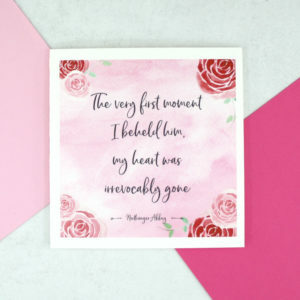 See final images.